Mashal Khan was a 23 year old student of Mass Communication at the Abul Wali Khan university, situated in the city of Mardan in Khyber Pakhtunkhwa. He was an intelligent, witty and peace loving young man, and a critic of hypocrital values, traditions and the political system. On 13th of April he was shot by a violent mob and then beaten to death as the mob suspected that he, along with his friends, was running blasphemous pages on social media. His other friend was saved by the law enforcement agencies, but Mashal Khan is dead. He was killed on the charge of an allegation that was never proved or established in any court of law, nor was he given a chance to prove his innocence. The incident took place when a few individuals levelled an allegation on him and the mob itself decided that he should be punished to death. The video of the mob beating him to death went viral on the social media. The way he was beaten was so brutal and ugly that no human can watch the video without tears in their eyes. Even the people who lived in the stone age would not have committed this kind of inhumane torture on a fellow human being. The brutal murder of Mashal Khan is actually that ugly face of our society which we do not want to deliberately see, because we know that somehow this ugly face of society contains the glimpses of each and every one among us. Mashal Khan is not the first one and surely not the last who will be killed in the name of God over the charge of blasphemy. Electronic media in Pakistan as usual was silent on this incident, very minor coverage given and only a few seconds of news and short analysis by a few anchors were aired amid the wrath of the public. Usually, speaking on this issue is considered a taboo in Pakistan, and rating points (TRPS) of television channels can fall quickly even if they are showing or commenting on the brutality of the mob justice in blasphemy cases. Unfortunately the tragedy of our age is that those who are carrying the flags of journalism, intellectualism, writing are mostly prejudice and only think according to the faith interpreted by the State and Mullahs. This is the reason these type of incidents are not given any importance and instead blame is put on a few individuals for committing this kind of brutal act just to avoid the discussion on the real issue that is the cause of these barbaric acts. A true intellectual is always free of any kind of prejudice or bias, and always searches for the truth, always willing to change his ideologies and concepts if proven wrong. Sadly most of our intellectuals are activists and rather than interpreting the social or political problem and structural reforms, they work for their own vested interests and agendas. This incident is actually proof that a society who creates minds and thoughts based on prejudice and hatred to other humans and nations on the basis of religion cast creed and encourages the concept of conquering the world with a sword, actually becomes a self destructive one. The people who are involved in the murder of Mashal Khan or other similar brutal incidents like Kot Radha Kishan, Joseph Colony and Gujranwala are actually the by-product of the hatred agenda. Most people in our society are approving these kind of acts by remaining silent, because they have been taught not to question anything pertaining to beliefs, be it a belief regarding religion, nationalism or tradition. So when educated people remain silent, and the progressive who speak against these kind of inhumane acts become victim of fundamentalist forces, the rest of the population in this scenario are being left to consume the ideology that is being fed to them by extremist mindsets and religious fundamentalists. Pakistan has a law regarding blasphemy and whoever is found guilty is punishable to death. But this law is mostly used to settle personal scores or to supress minorities. Most often, if a person is accused of blasphemy, he is not given a chance to prove his innocence and is lynched to death by a mob or fundamentalists. Even the high profile politicians Shahbaz Bhatti and Salman Taseer were not spared when they tried to speak on this issue and were killed. the murderers who killed them eventually becoming public heroes. Now this raises a question that in the presence of law regarding blasphemy in the country, why do these kind of incidents happen again and again on a regular basis and why do the majority of people demand death for the person who is accused and guilty even before trying him in any court of law? To understand this we need to study the social structure, social fabric and narrative of the society. The state of Pakistan after its birth, in an effort to create a social structure that suited its interests actually tried to include or influence the social narrative with religious narrative. The idea of developing a social structure that was based on religious narrative went all wrong as it gave birth to a social structure based on hatred and intolerance. The blending of religious and collective self denial of the reality by teaching wrong history and distorted facts, neither created a pluralistic and tolerant social structure, nor a desired agreed religious social structure or narrative was created. It is very easy to understand that in any society, there are different communities of people whose beliefs, ideologies and concepts of life are entirely different from each other. This is the reason that modern states do not try to create a social fabric based on religious narrative. In fact in the modern social structures states do not have anything to do with the beliefs of the people living in society. A social structure is always created to accommodate each and every single citizen living in society so a society can be formed that is diverse in nature, peaceful and where every single human in the fabric can live freely according to his ideology of life. Contrary to that, State in our country has never been able to understand its role in the modern concept of creating a social structure or a fabric. Instead of trying to adhere to the ideology of Jinnah the founding father of the nation, that was actually meant purely to be a pluralistic and secular society, the state inserted religious narrative into the social structure to form a society that should be driven by religion in order to survive. To achieve this goal the state apparatus were used to such a large extent that even the text books of social studies and science were used to promote the religious and self proclaimed theories about how the whole world conspires against us all the time, thus creating a society that constantly lives in the state of delusion and paranoia and that thinks it is the only defender of God’s message and hates other humans and nations instead of compassion, lacking a human loving attribute in it. This resulted in giving birth to the conservatives and religious minded intellectuals, writers and journalists backed by mullahs and the state, thus creating a narrative according to which critical thinking is a crime, questioning the interpretation of religion is a blasphemy, other religions and nations are inferior to us and instead of reasoning and acquiring knowledge, we can conquer the world through weapons or Jihad. Until and unless the state creates a new social order and new social narrative based purely on the principles of modern social sciences and unless this current narrative is not changed entirely, kids like Mashal Khan will continue to die by the hands of fanatics. 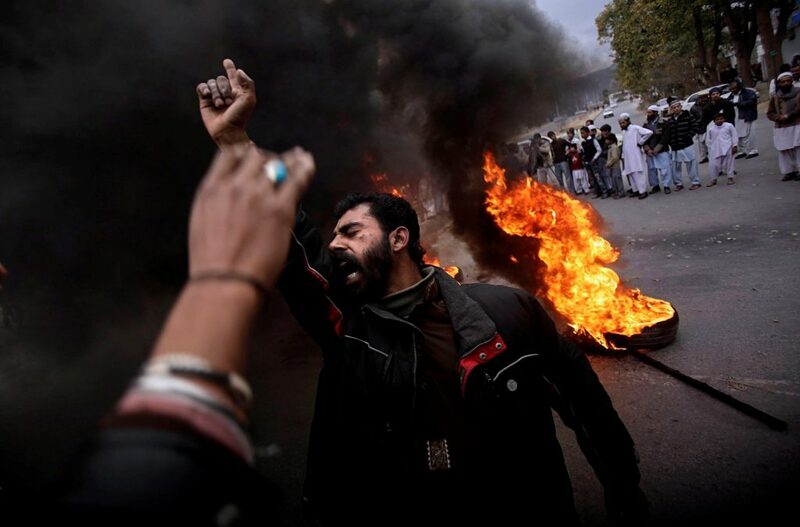 The collective social suffocation, inability to live in reality and unwillingness to accept the changed civilisation combined with personal frustration will keep providing a free hand to the extremists to exploit the blasphemy law to kill people who are not ready to buy the interpretation of narratives by the state and mullahs. Mashal Khan and kids like him present a picture of peace and are actually a glimpse of the colours and joys of life. Their criticism on traditions, values, the political system or questioning the interpretation of religion by mullahs is not blasphemy, it is in fact an indication that the new generation has started to negate the propaganda and narrative built on distorted facts and self interpreted beliefs. They have started thinking objectively and rationally. These kids are our future and a hope towards forming a peaceful and brighter pluralistic society. On the other hand people spreading hatred in the name of religion cast or creed are the obstacles towards the path of making this society progressive. The State should play its role by discouraging extremist mindsets and denouncing support towards these or mullahs, and should try to promote the culture of debate on these sensitive issues. As a citizen each and every one among us needs to play our role to create a tolerant society by teaching our kids not to hate anyone and by not glorifying wars. Otherwise one day we will lose our kids like the parents of Mashal Khan lost theirs in the name of blasphemy, and will carry the unbearable burden of losing our young children on our shoulders for the rest of our lives. 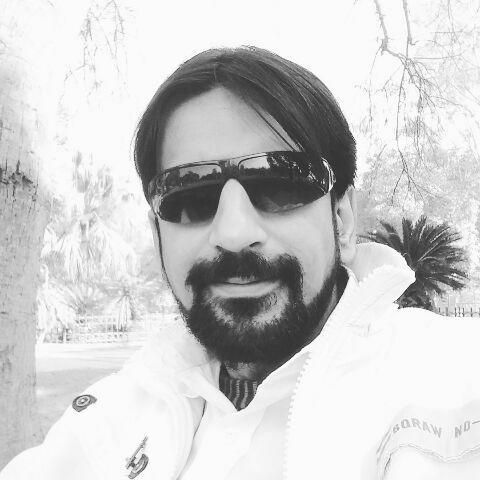 Imad Zafar is a journalist based in Lahore. He is a regular Columnist/Commentator in newspapers. He is associated with TV channels, radio, newspapers, news agencies, political, policies and media related think tanks. Makes everyone think. A good read. U cant hide the crime he did , people like mishal khan should think in which society they r living in..In pakistan people not tolerate anti islamic content. Secondly the root cause of this event or like other these type of event r our Govt who not make proper law & people not trust on judiaciary so that people take the law in their hand.